Marchiol also claimed in Tuesday’s story new A&M coach Jimbo Fisher’s staff possibly violated NCAA rules by running mandatory team activities at impermissible times. 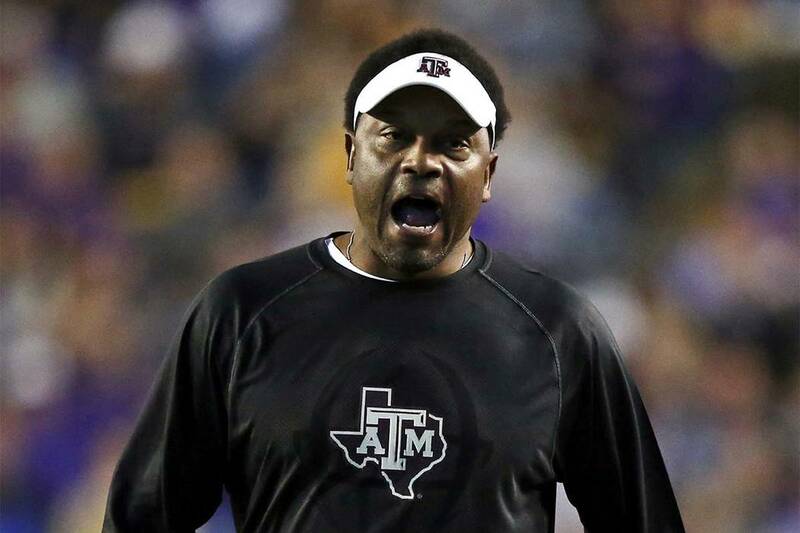 “Texas A&M Athletics takes these allegations seriously, and we are reviewing the situation with the NCAA and the SEC Office,” the school said in a statement. Marchiol, a former four-star recruit from Colorado who played at IMG Academy in Florida, left Texas A&M in June and rejoined Sumlin, now coaching Arizona. Marchiol is currently enrolled at Arizona and has been practicing with the team. NCAA rules require him to sit out this season, but Arizona is requesting a waiver from the NCAA to allow Marchiol, who redshirted last season, to play immediately. USA Today reported Marchiol’s claims of possible NCAA violations were part of a statement he provided to Arizona compliance officials to be used in the waiver request. Marchiol also told USA Today that coaches and trainers at Texas A&M pushed him to practice on an injured ankle and that, too, was included in his waiver request. Arkansas-based attorney Tom Mars, who is representing Marchiol, told AP he could not comment on the case. The waiver policy changes also stated that to grant eligibility the athlete must be in good standing at the original school and meet percentage-of-degree requirements, and the original school does not oppose the transfer. The changes came as Michigan was attempting to get a waiver and immediate eligibility for Mississippi transfer Shea Patterson. The quarterback was claiming Ole Miss coaches and staff misled him during recruitment about an NCAA investigation that led to the football program being sanctioned. The change to the waiver process was credited for alleviating a potentially contentious situation between Michigan, Ole Miss and Patterson, and allowing him, and several other Ole Miss transfers, to play this year. Mars represented Patterson and aided with several of his former teammates cases. Now it seems the change has created another issue: encouraging players to document possible misdeeds by coaches at their former schools in order to be eligible to play immediately at their new schools.